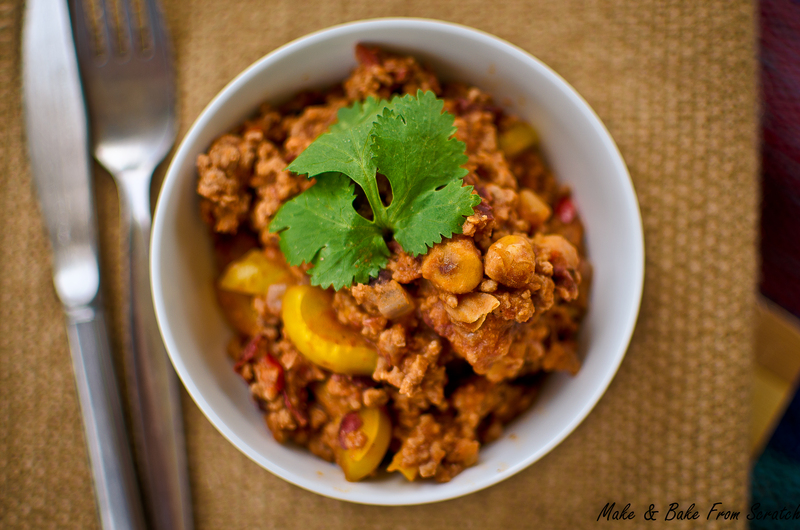 Chilli Beef is a dish that can be enjoyed as a lunch or dinner. It packs great flavours such as garlic, chilli cumin, garam masala and cinnamon. 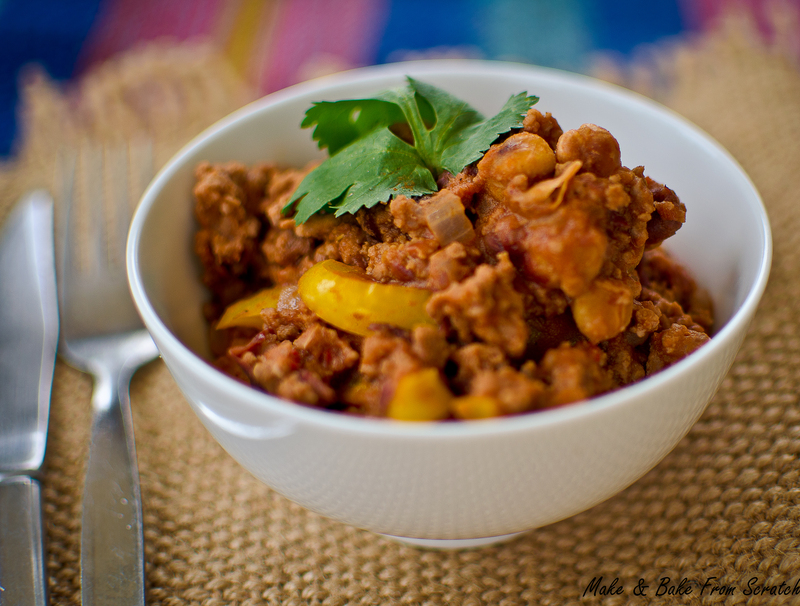 Chilli Beef is a high protein and low carbohydrates recipe. The meat and beans really boost the protein content. Red kidney beans are packed with protein; 1 cup contains 15 grams of protein. Kidney beans are low in fat and contain vital nutrients like folate, iron, potassium and magnesium. Chickpeas are naturally low in fat, high in dietary fibre and jam-packed with essential nutrients and vitamins. If you have any left-over pop it in a lunch box and bring it to work. This recipe is gluten-free. Pink Himalayan Rock Salt & Black Pepper to season. Roast Chickpeas: drain and rinse, spread out on a flat baking tray, drizzle 1 tablespoon of olive oil and roast at 180 for 25-30 minutes, add to dish at the end. These are also a great addition to a salad. In a large saucepan add 1 tablespoon of Avocado Oil/Extra Virgin Olive Oil. Sauté chopped onion, peppers, garlic and chilli. Next add mince meat, allow to brown. Add red kidney beans, tomatoes, cumin, garam masala, cinnamon and unpasteurised apple cider vinegar. Allow to simmer for 15-20 minutes, add roasted chickpeas and season with salt and pepper. Dollop of Greek Yogurt and sprinkle freshly chopped Coriander on top. Previous Are you ready for the ultimate fitness adventure?